I have this wonderful customer (and friend of a friend) who always comes to visit me at markets and after sends me the most gorgeous photos of her beautiful little girl wearing my creations (makes my heart sing!). So when she told me about her new business, I was only too happy to help out. She offered to give me a dishcloth. Sorry? Um. A dishcloth! Not exactly exciting. Until you take a look at her website and realise they aren't just any dishcloths but pop art, retro, eco friendly dishcloths! Then I had the hard task of choosing. We don't have a dishwasher so this would be a well used item in our house. 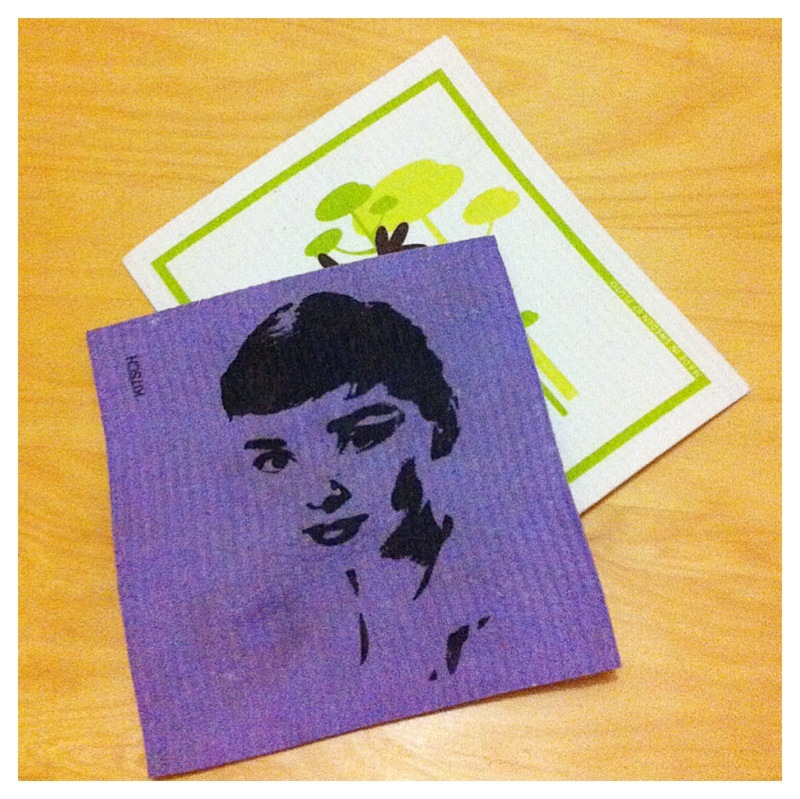 I had to get the beautiful purple Audrey cloth for me and the moose for my Canadian husband. Oh and throw in a purple watch because they are so cute! Here is the before and after shots. I didn't even try to clean Audrey up before taking the photo (moose is yet to be used). I'm super impressed. The image is still perfect and hasn't faded or been scratched out. The cloths are great to use. They are thick and have a kinda bumpy side on the reverse side. Never gets slimey (or it is just me that ends up with gross cloths!!). Overall, very happy Audrey pop art, cloth using customer! To celebrate Mother's Day in less than two weeks, we thought we would give you the chance to buy something minimal and Scandinavian for you or your mum. You can choose from cushion covers, table runners, kitchen towels and more. What a fab little store! I'd have to buy one of each dish cloth! Very cool... I don't think I could decide on just one! I'd love some of the gorgeous kitchen towels. Mine are all ugly and boring. Probably get the dishcloths but everything looks gorgeous! 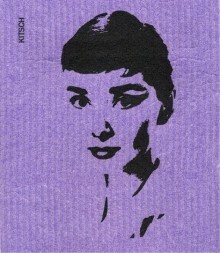 I'd have to grab an Audrey, Dirty Harry and Marilyn dishcloth to start. When each of our children were born they were given a money box...except the youngest, so I would buy her a money box! They are super cute! I'd need to get the Marilyn for my daughter , what a great giveaway ! Either a purple Monol watch or the blue robot cushion cover I think. Love the Norsu money boxes. I'd get a little yellow money box for Emma (yes, I've finally bought the fabric for her quilt and started planning out her bedroom!). I'd have to get the Town Kitchen towel. I love those little houses! Would love some of their gorgeous dish cloths!